Ten people drown every day in the U.S.; our coalition, in collaboration with many agencies in Collier County, wants to change that statistic by raising awareness regarding the importance of water safety during spring break. 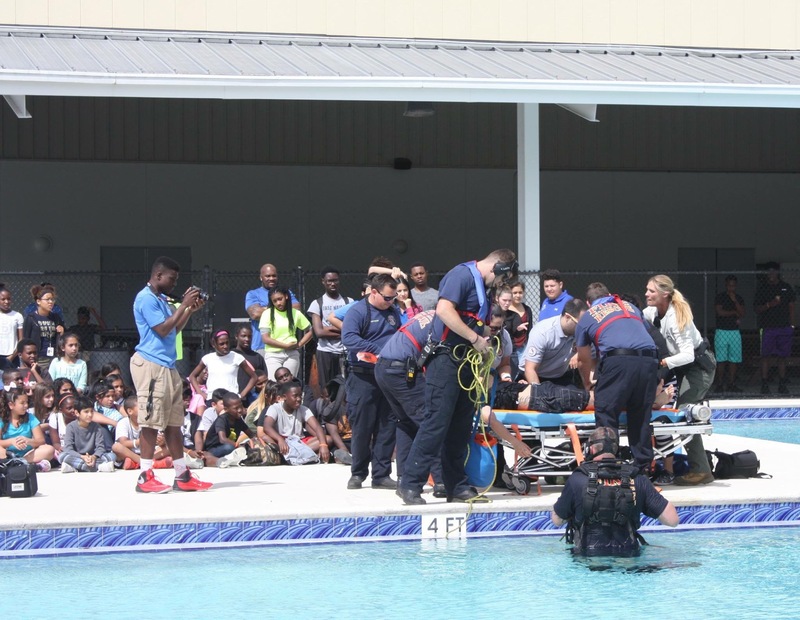 Our coalition hosted the “Making a Splash” Safety Day on Tuesday, March 14th at 3 p.m. at the Boys & Girls Club of Collier County Nichols Campus This event was geared toward teaching elementary, middle and high school aged children various aspects of water safety. 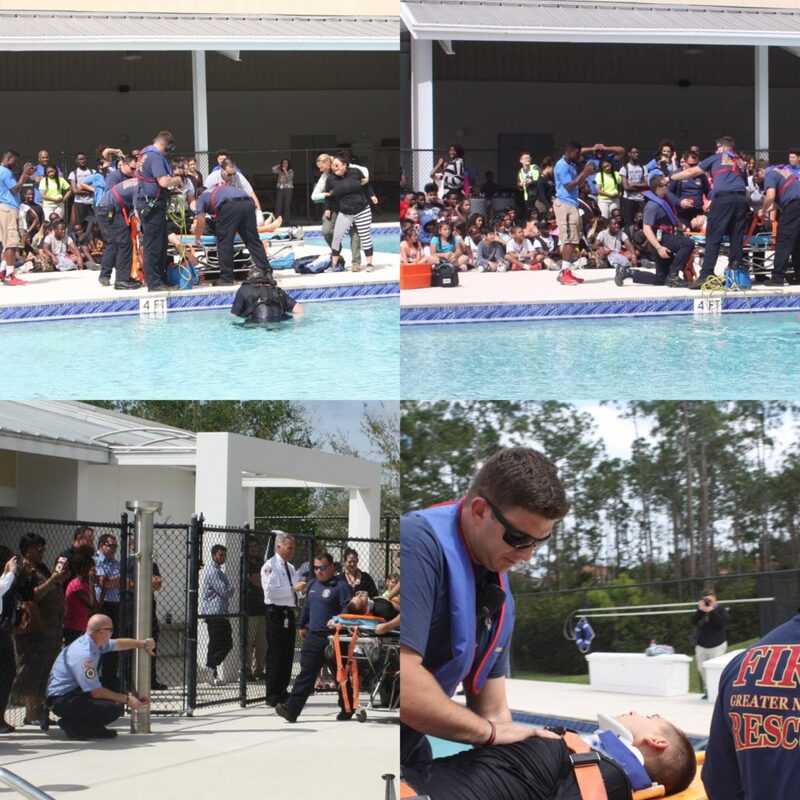 “Making a Splash” Water Safety Day activities included a mock drowning and rescue, CPR, and a water safety talk to show children what to do if there is a drowning situation. 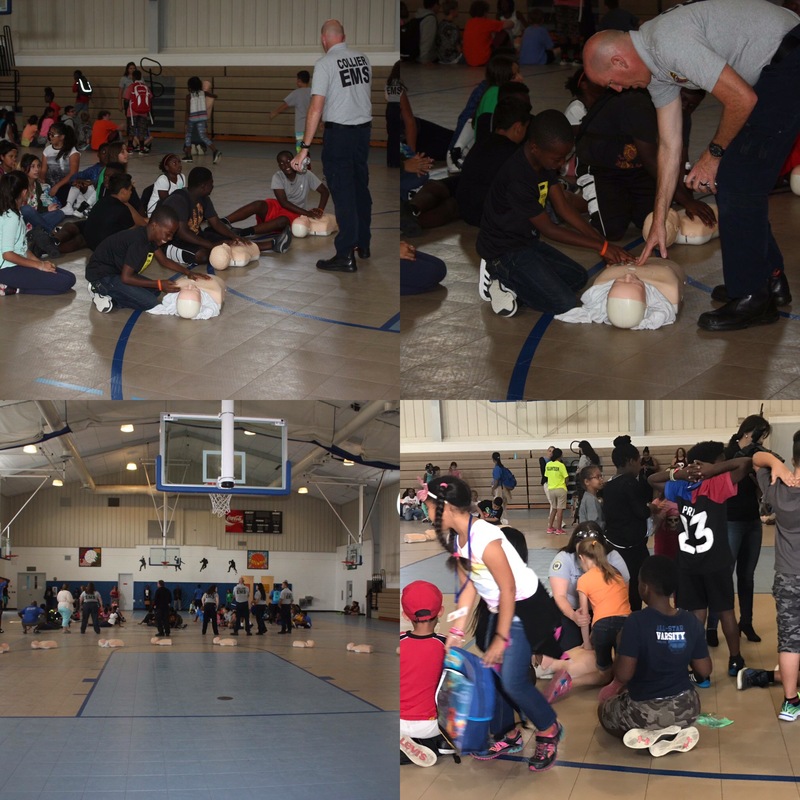 Children learned these valuable life skills from local first responders and instructors affiliated with the Collier County Emergency Management EMS, Collier County Sheriff’s Office, Greater Naples Fire Rescue District Collier County Parks & Recreation North Collier Fire Rescue District and Special Olympics Florida – Collier County According to the USA Swimming Foundation ten people drown each day in the United States*, 70% of African American children, 60% of Latino children, and 40% of Caucasian children have low or no swimming ability**. Participation in formal swim lessons can reduce the likelihood of childhood drowning by 88%***.